We loved the apartment. Spacious and clean. Fairly good view. Very helpful, cheerful staff. Beds freshly made every day was something not expected, but see below. Lovely town with great food, and a beautiful location. Great bus services for those wanting to see more but not hire a car. Staff were very friendly and gave us information on the surrounding area. 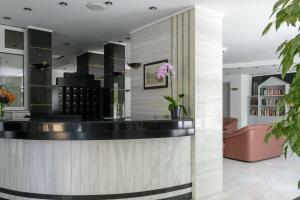 Everything was very clean and was kept clean by a maid service everyday. We had a studio apartment and it was very spacious and we managed to get a little view of the sea. Pool, games room, bar etc were all great. The apartment itself was clean and the beds were reasonably comfortable. The front desk is staffed 24 hours and the person who checked us in (and out) was exceptionally friendly and helpful, giving us several helpful tips on places to go in the area. The rooftop pool and adjacent snackbar is very pleasant and affords fine views of the sea that most apartments lack. There is also a games room which we did not use. The air conditioning worked well and was a necessity. Excellent location! We loved the top roof swimming pool,the basement entertainment room and the interior harden. The apartment is spacious , clean and the rooftop pool and snack bar are a bonus. The view from the rooftop swimming pool, restaurant and bar. The staff were really friendly and helpful as well. Location/cleanliness/roof terrace/staff were most helpful. Nice town. 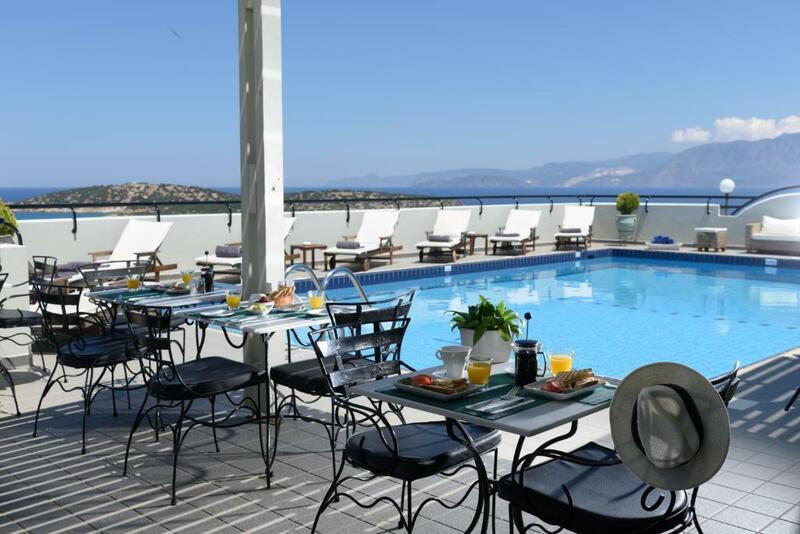 Lock in a great price for Alantha Apartments – rated 8.6 by recent guests! One of our top picks in Agios Nikolaos.Featuring an outdoor pool, garden and terrace, Alantha Apartments is located in a quiet street just 5 minutes from the town center of Agios Nikolaos in Crete. It is a 3-minute walk to a sandy beach. Each apartment includes a balcony. The bathroom comes with a bath or shower. Some apartments have a seating area, TV and kitchen with stove. Continental Breakfast is daily served. Alantha Apartments can arrange taxi transfers to/from the airport upon request, information room and luggage storage room. 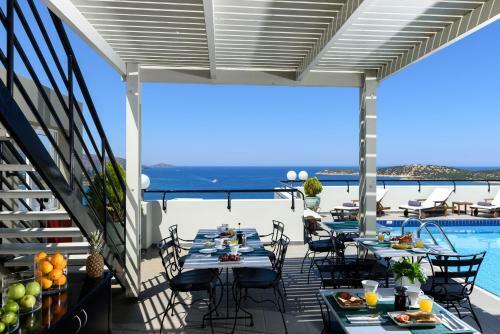 The property is 37 mi from Heraklion International Airport. Heraklion is 40 mi away. 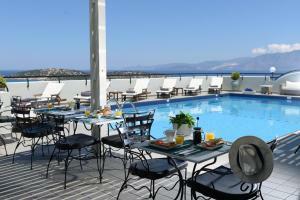 When would you like to stay at Alantha Apartments? This air-conditioned studio features a kitchenette with dining area. The room is equipped with 2 beds and 2 sofa beds. Rates based on 2 adults and 2 children (0 - 12 years old) sharing. This apartment features a separate bedroom and a kitchenette with seating and dining area. A fridge, an electric oven and kitchenware are available. House Rules Alantha Apartments takes special requests – add in the next step! Alantha Apartments accepts these cards and reserves the right to temporarily hold an amount prior to arrival. Please inform Alantha Apartments of your expected arrival time in advance. You can use the Special Requests box when booking, or contact the property directly using the contact details in your confirmation. Not really a complaint but felt we didn't need clean sheets and towels every day, although it was such a luxury. Maybe a notice to guests giving them the option,which would be good for people trying to be aware of saving resources. There were some quite steep steps to negotiate, although once we found our way around you could reach the town using more gentle slopes. Kitchenette was a little bit dated and could have been a better equipped. All units have balconies but they are mostly facing each other in a courtyard so they don’t provide a private place to sit. Our kitchen had a combination hotplate and oven but it was a bit confusing with no written instructions. The kitchens are equipped with a pan and two pots plus electic kettle, coffee pot, plates, glasses, cups, and utensils...but if you want to cook anything you will have to buy salt, pepper, cooking oil or olive oil, dishwashing detergent, sponge, etc. The hallways had a displeasing odor from what we assumed was a cleaning solution. Parking can usually be found in the neighborhood but unloading luggage from the car and carrying it to the hotel may be a challenge for some people. The hotel is situated in a residential area on a steep hill. You can walk down long steep staircases to the waterfront but mamy oeople will find the climb back up to the hotel daunting. There are no restaurants in the immediate vicinity, but a ten minute walk will take you down to the lake where there are lots of cafes and restaurants. No breakfast room. No tea or coffee provided in guest rooms. No parking. Lots of stairs. Nice rooftop pool and Snack bar. Spacious room. Friendly staff, good sized family apartments with real beds for 4, nice roof top pool. When we first arrived - we were allocated a room which had no view and very little natural light. After speaking to hotel management, they relocated us to a new room which was much nicer. If I was to stay at the hotel again - i'd request a room with a sea view.